Social media platforms have been a hub for businesses for some time now. Nowadays, not having social media presence is just like you don’t even exist on the market. Businesses effectively leverage social media platforms to build presence, visibility and awareness for their companies. Not only that, but social media also allows businesses to engage with their target audience and establish meaningful relationships with them. That being said, various companies, both large and small, have been using social media to promote their business and drive sales for a long time. Today, social media networks are growing both in size and popularity and social media marketing has quickly become inevitable activity of digital marketing. As a matter of fact, Facebook alone has over 2 billion active users. It’s estimated that the total number of social media users will surpass 3 billion by 2021. Aside from growth, social media experiences changes based on user behavior and trend. 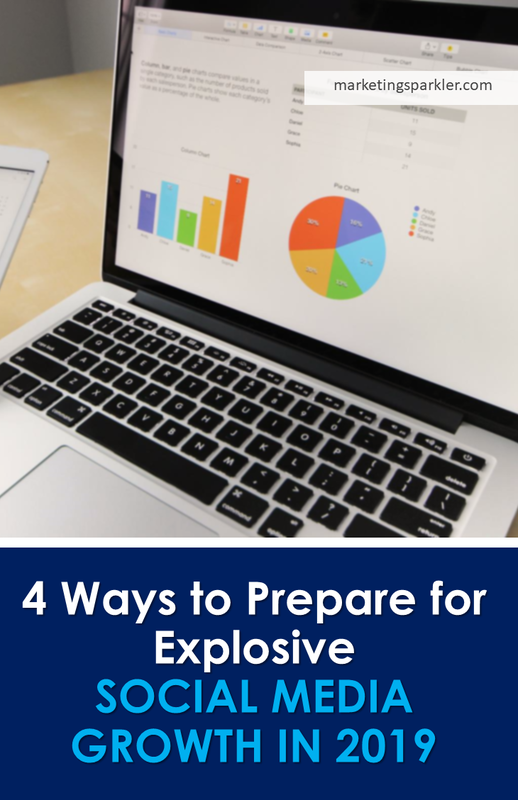 These changes are another thing companies must prepare for. 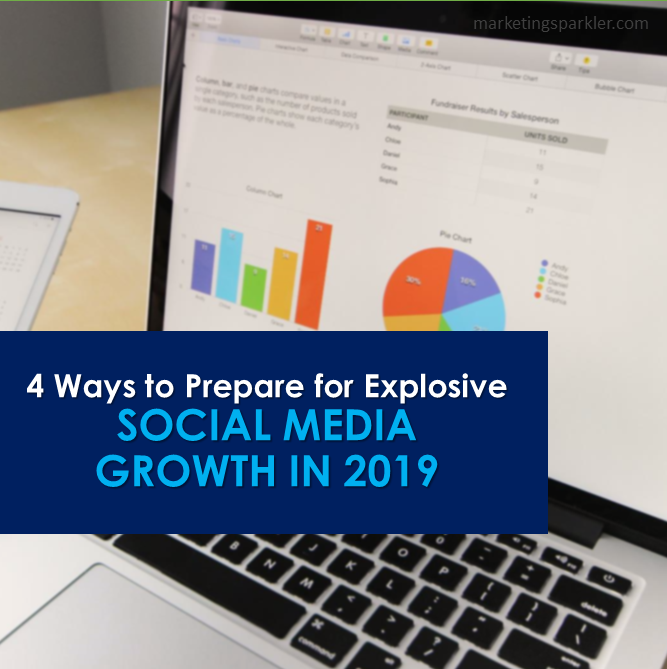 Therefore, here are a few ways to prepare for the explosive social media growth in 2019. Companies must prepare for changes in social media experiences, based on user behavior and trends. As mentioned before, social media platforms experience changes not just in numbers, but they also adapt to user behavior, needs and the trends consumers are following. In order for businesses to remain relevant, they must also adapt to these trends, as well as changes. However, not all trends are worth following. If companies want to launch effective promotions, offers and campaigns that will effectively reach their target audience, they simply cannot waste time and resources on meaningless trends. That’s why market research should still be on top of the priority list. Research and big data analysis can help identify relevant trends and shifts in consumer behavior. This can help businesses craft more meaningful messages and campaigns. Not only that, but the competitive analysis is still a must to help identify ways to gain a competitive advantage on social media platforms. Research and big data analysis can help identify relevant trends and shifts in consumer behavior. Social media networks led by Facebook have drastically reduced traffic from organic search. By prioritizing posts in newsfeeds from friends and family, social media platforms have placed companies in a difficult position. This has also led to a decrease in referral traffic. In other words, consumers see fewer posts from companies which results in fewer clicks that lead back to company websites. Facebook started this trend back in 2014 followed by Instagram and Twitter. In 2018, Facebook is making yet another update to emphasize social interactions between people instead of between people and individual pages. That being said, companies will have to focus on adapting their campaigns and content to be more ad related. What’s more, the content produced will have to be interesting enough to attract attention, despite having lower priority in consumer newsfeeds. Social media users have always preferred well-created content coming from brands. In 2019, more users means more relevant content to combat the noise. Companies will have to develop strategies, in order to craft an exceptional social media campaign that will boost their visibility. Content is key in this endeavor. 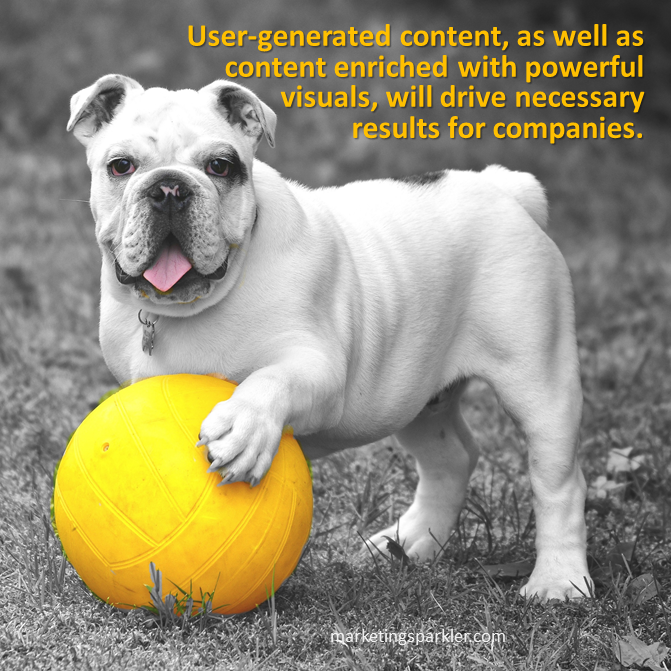 Focusing on user-generated content, as well as content enriched with powerful visuals, will drive necessary results for companies. However, content has to be highly relevant above all else. In addition, creativity from brands will have to gain momentum, especially since trends, such as live video and real-time content, are becoming an integral aspect of every day content social media users interact with. The main reason companies need to focus on video format for their content is an ongoing increased demand from consumers for this format. Through video, companies will be able to drive more interest, increase traffic, and even improve some of the decreasing organic searches on social media platforms. Why focus on video? Consumers increasingly demand this format. It’s no longer a speculation whether or not mobile traffic has surpassed that of the desktop. In fact, social media platforms are mostly inhabited by mobile users. Facebook numbers 94% monthly active users as mobile, while Twitter has 82% mobile users, followed by Pinterest with 80% and LinkedIn with 60%. In other words, social media has gone mobile, which means companies need to go mobile as well. That includes generating content that can be consumed via mobile devices, as well as building a mobile responsive website. Customer experience, service and support is still a priority for consumers. Companies unable to provide such experience will lose both their relevancy and their social followers. One of the best ways to remain on top of the game is to implement chatbot features on messaging apps. Chatbots powered by artificial intelligence (AI) can be an excellent addition to brands on social media. They can interact with consumers mimicking human behavior while providing constant service and support. Not to mention that chatbots are a rising trend in both popularity and convenience among consumers on social media. Consumers typically use social media via a mobile platform. An explosion of social media growth was bound to happen sooner or later. Businesses that are quick to react, as well as quick to adjust and adapt, will be able to maintain their presence on social platforms. On the other hand, companies that wait too long to make adaptations will fall behind their competitors and lose their audience’s interest.